It's no secret that using Instagram hashtags correctly will increase reach on Instagram, but did you know that by using the maximum allowed 30 hashtags, you can increase your reach by up to 30%? 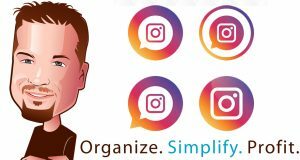 In this tutorial I'll show you how to find the top Instagram hashtags for any niche, and prepare 30 of them for quick copy/pasting to Instagram. Head over to Websta and enter your keyword/niche into the search box. In this example I used “fitness”. 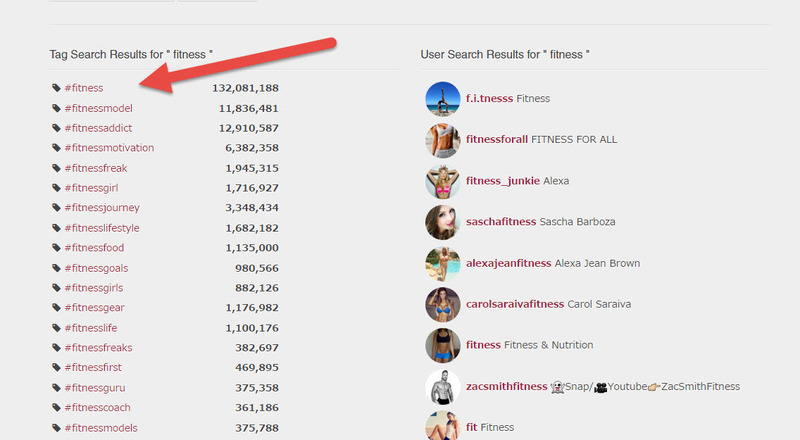 When you click the search icon it will show you the top 50 hashtags on Instagram that include your keyword (fitness in my example). Websta will also show the number of posts that are using each hashtag on Instagram (e.g. popularity). We will collect both pieces of data in the next step. Head over to the chrome store and download/install the Scraper extension. Once installed, highlight the first hashtag in your list, right click, and select ‘Scrape Similar'. Verify that it pulled the correct data and then click ‘Copy to clipboard'. 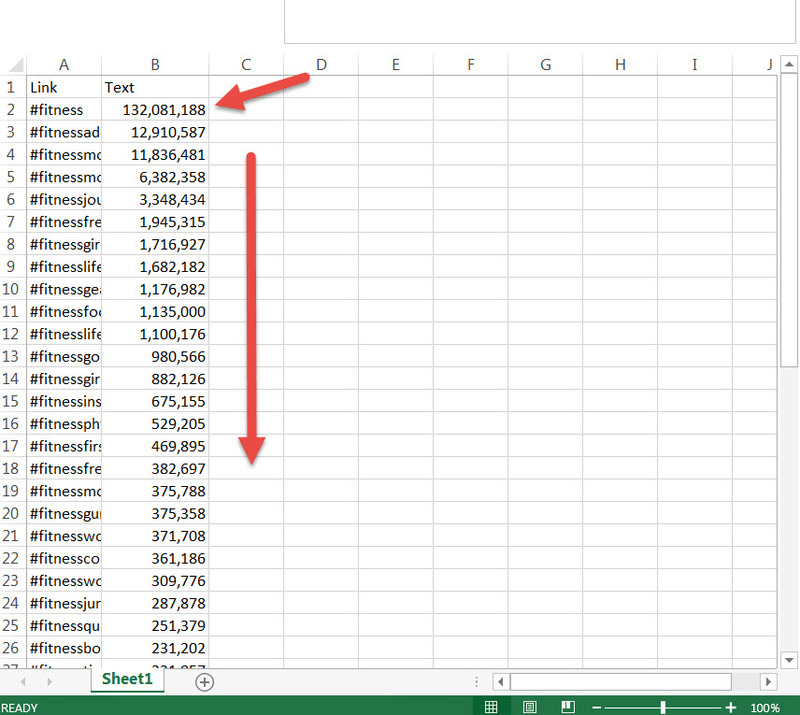 Paste the data into 1st column of a new excel workbook, or Google Doc. Repeat the process, only this time highlight the NUMBER next to the hashtag and copy/paste it into the 2nd column of your spreadsheet (overwriting anything already in the 2nd column). Click the top row of column 2 and then sort the data descending so the biggest number is now at the top. 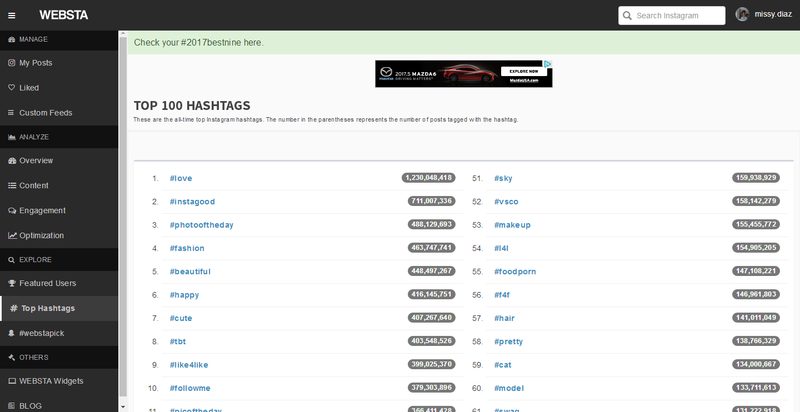 You should now have an organized spreadsheet of the top hashtags and their corresponding popularity. SAVE IT! Select 30 of the hashtag cells you want to use on Instagram (you can use CTRL+CLICK, or SHIFT+CLICK) and copy them to the clipboard. Head over to Delim.co and paste your hashtags on the left side where it says ‘Column Data Here'. 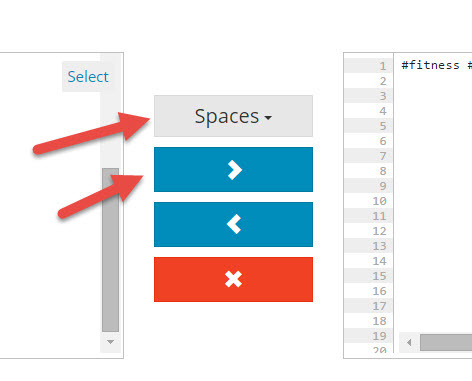 Click the top dropdown box between the 2 data entry areas and change it from a comma to ‘Spaces' then click the blue button with the > icon on it. Copy text from the ‘Delimited Data Here…' text area and save it somewhere that you can easily access it on your phone (email, txt document, evernote, etc…). Now every time you make a fitness post on Instagram you can simply copy/paste these 30 highly trafficked hashtags into the post! Post your hashtags as a COMMENT to your image/video post on Instagram rather than a CAPTION. I have attached a screenshot of what I get when I visit the site – and yes! I created an account at Websta and am logged into it. Please advise. Very. I’ll have to update this post. Thanks for the heads up.